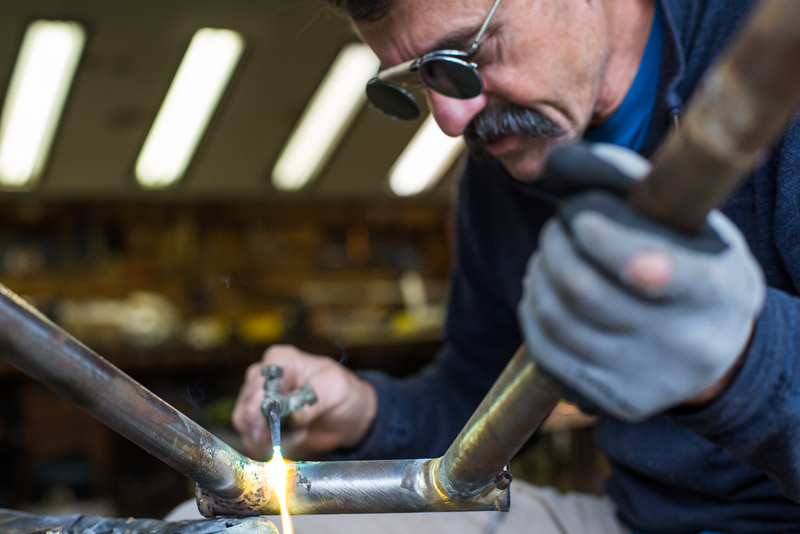 One of the most popular steel frame constructors is the American Tom Ritchey, who, at the beginning of the 80s, crafted one of the first mountainbike frames ever. In the year 1989 he started his triumph with the legendary hardtail MTB "P-23", on which Swiss rider Thomas Frischknecht became a cross-country superstar. As technical evolution advanced faster and faster and aluminum or carbon became increasingly popular, Ritchey's popularity decreased. Then, a couple of years ago, Ritchey had a surprising comeback: affordable steel frames in the "new" wheel sizes 27,5" (Ritchey P-650B) and 29" (P-29ER). Sturdy, durable, aesthetic - these are the attributes, which are supposed to outline the benefits of steel even in times of carbon frames. But what has changed about steel tubes and frame construction techniques within the past 26 years? 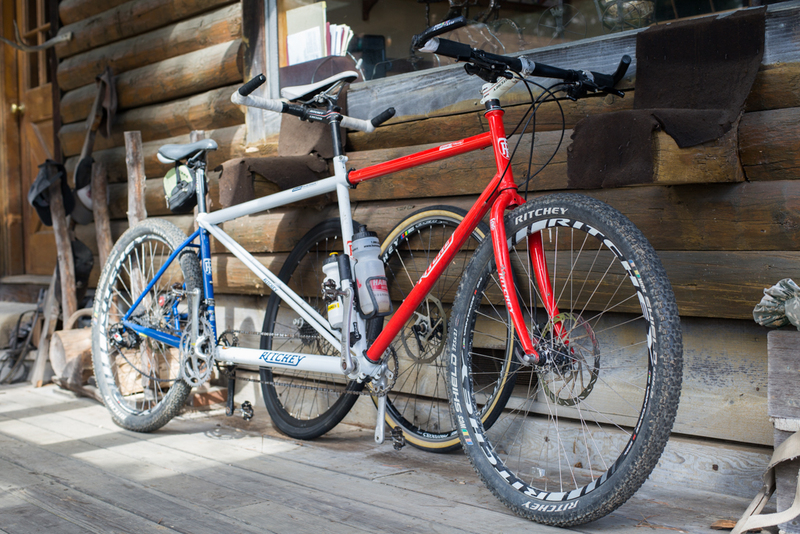 What is the difference between a Ritchey P-Series from 26 years ago vs the Ritchey frames you're making in 2015? Tom Ritchey: The P-Series mountain bikes started with the P-23 in 1989...some 26 years ago...and that was really the beginning of the Logic tubing story. 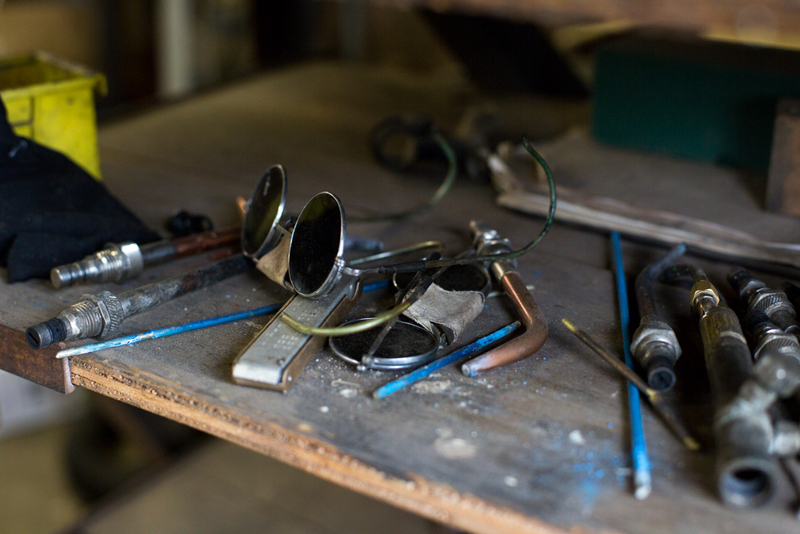 Those bikes were inspired by really knowing the value of steel and its benefits, and wanting to build a steel frame that could compete in the racing world. 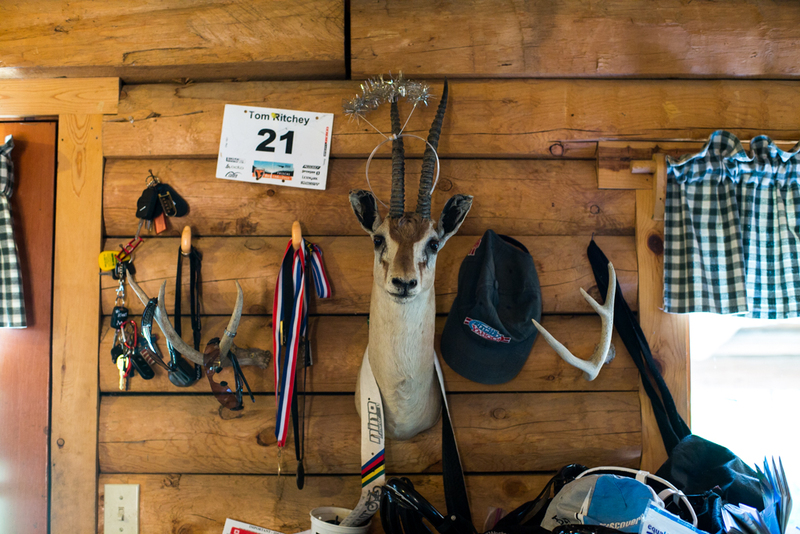 Mountain bike racing was truly international at this point and skyrocketing in visibility, so there was a lot of tech and marketing being tossed into the fray. 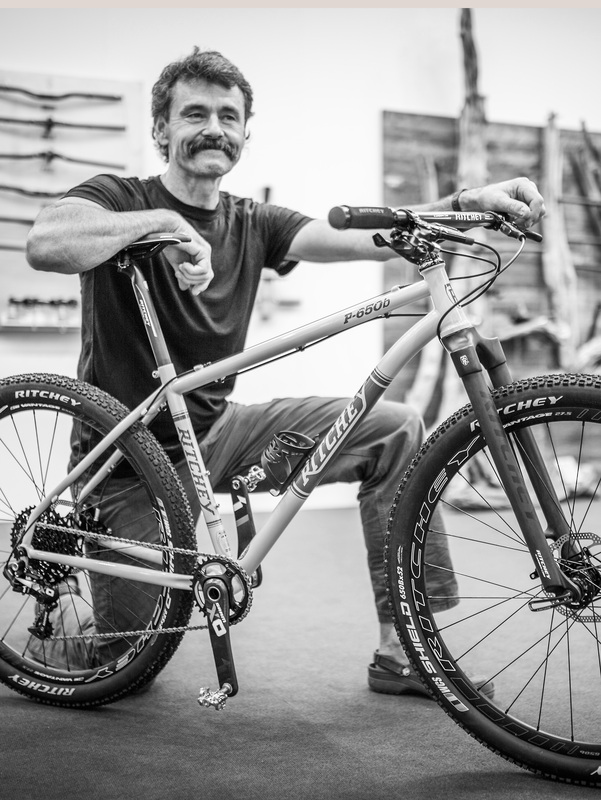 Many of the big brand factory team riders were on the newly popularized oversized aluminum bikes weighing in somewhere around the 25 pound range, and when Don Myrah showed up on a Ritchey P-23 that was two pounds lighter and won at the inaugural World MTB championship in Mammoth, it made a lasting impression. The bikes were celebrated and it proved that steel was still a great material even in the face of the space-age aluminums everyone was working with in the day. Those bikes were revolutionary. 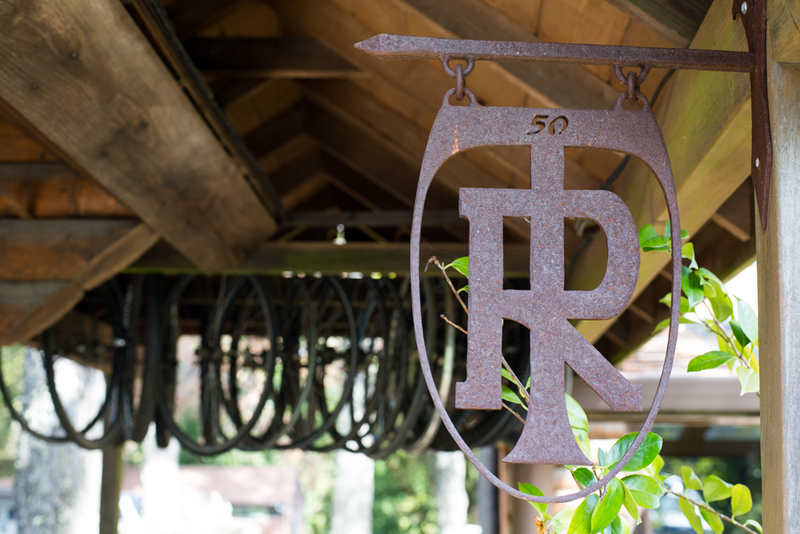 Today, there's not a huge difference in Ritchey's latest bikes and the original P-series bikes. 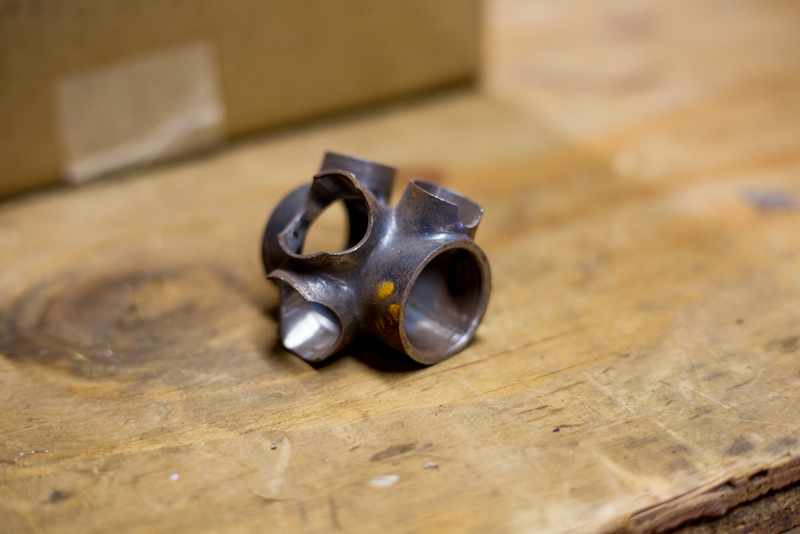 A lot of work was done back then on force analysis, butting profiles and heat treating and much of what we learned then is still applied in today's tubing, with a few important updates. The new bikes have a heat-treated downtube that curves near the head tube and is very strong and light. This provides clearance for fork crowns and the front-end reinforcement of a gusset without the added weight and point-loading that gussets cause. This, when combined with our forged and machined integrated head tube, provides a very strong, very light front end. And of course we're offering P-series bikes now in 650b and 29er wheel sizes...I was aware of the benefits of larger wheels as far back as the 1970's, but world wasn't ready for that until fairly recently. Ritchey Logic tubing was a game-changer when it was introduced. What's changed with the latest version of Logic tubing? Tom Ritchey: The latest version of Ritchey Logic steel tubing is nearly the same as the original with the exception of some larger tube diameters and the shaped downtube. Few people fully understand just how advanced the original tubing was when it first came out, and how little room to improve upon it there is. When I developed the original Logic tubing it was after a decade of building frames with existing tubesets all previously designed for lugged construction in traditional diameters and butting profiles that had been unchanged for practically a century. 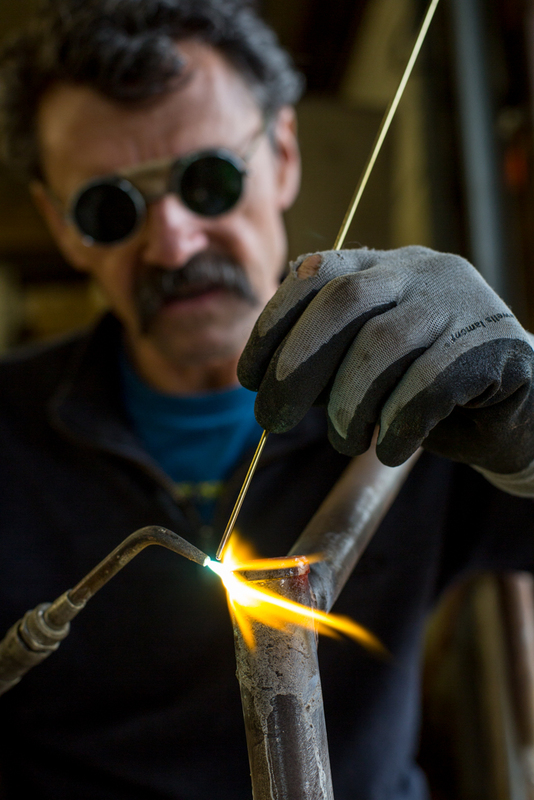 No attempt had been made to challenge that thinking and really optimize tubing, especially fillet brazing or TIG welding, until I came along. The original Logic tubing became the new standard in steel tubing and was proven in the field by Team Ritchey and numerous other builders. The latest tubing embodies everything I've learned back then and along the way since and it's probably the best steel tubing in the world. 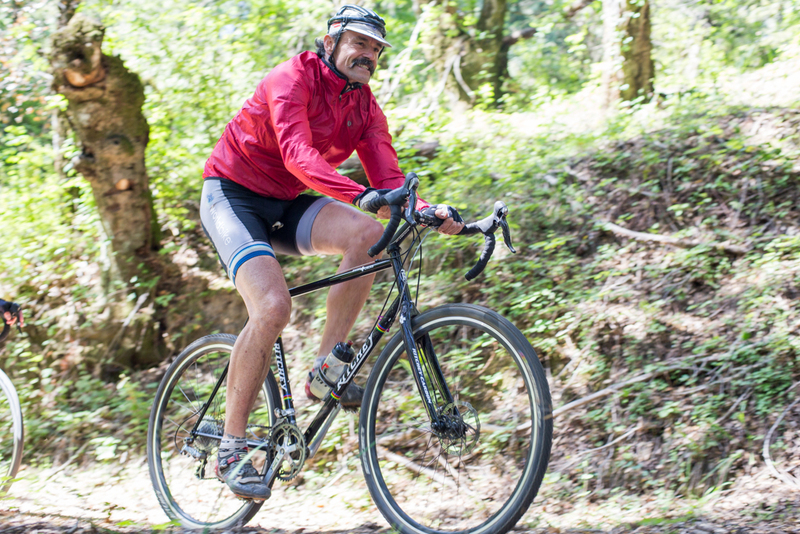 What was your inspiration for the 2015 Ritchey steel bikes? Tom Ritchey: Evolving riding styles and the growing popularity of new wheel sizes has definitely inspired me to bring out some of the new models you’ll see in 2015 and beyond. For this year one of the bigger additions to the Ritchey line will be tapered head tubes on the P-650b, P-29er and upcoming Timberwolf. 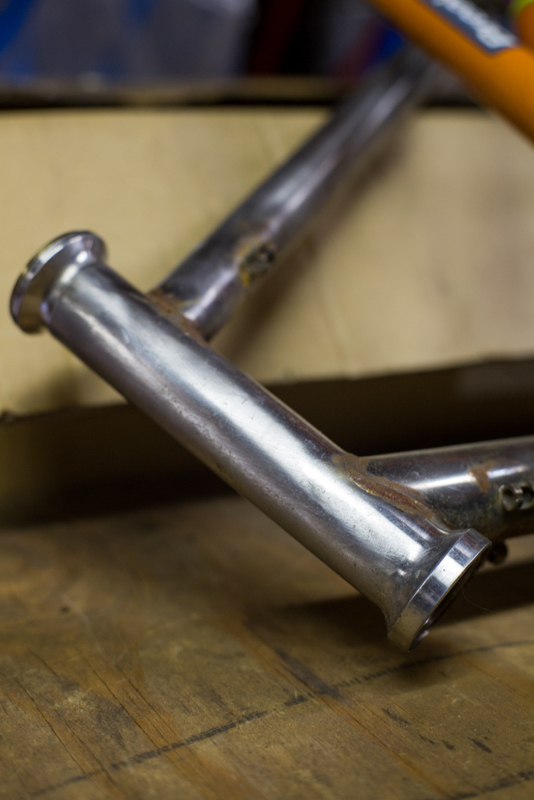 While tapered head tubes are nothing really new, our forged and machined version brings the benefits of tapered steer tubes to steel bikes without the typical weight penalty. Combine this to the incredible weight and strength of our curved and heat-treated downtube and a light, stiff and strong front end that’s a game changer for steel construction. With the popularity of carbon fiber….why would anyone choose to ride steel? Is it only nostalgia? Tom Ritchey: Steel has so many benefits, even today. It’s not just nostalgia. For sure carbon fiber does have some advantages, certainly things which aluminum lacked. Carbon can be strong and light in a very compact space which is something that was always a design challenge with aluminum, and the big companies have shown that you can make carbon frames very light and stiff and those are always strong marketing points. But when it comes to riding….actually riding….a steel bike still has a ride quality that’s hard to beat. It’s light enough, stiff enough, and extremely comfortable on long, hard rides. Then there’s size options, reliability and cost. As a performance material, steel has always been the benchmark for ride quality…the ride of a nice steel bike is coveted, and any other frame material is compared to the ideal of steel. That’s why its enduring and why riders keep coming back to steel. What bike do you ride the most and why? Tom Ritchey: I spend a lot of time on my Ritchey tandem with my wife, but when I ride solo I’m usually on my P-650b with a rigid fork. It’s a pure point-and-shoot ride and I love it. 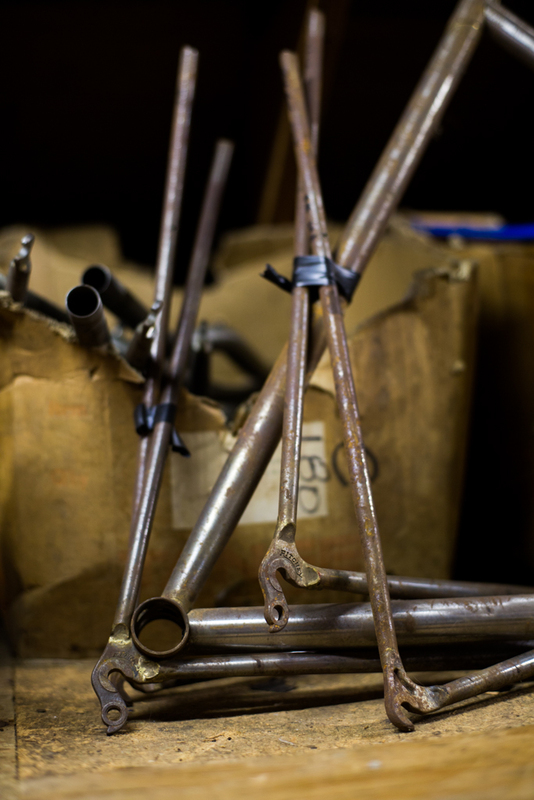 Ritchey offered TIG welded frames in the 1980’s. 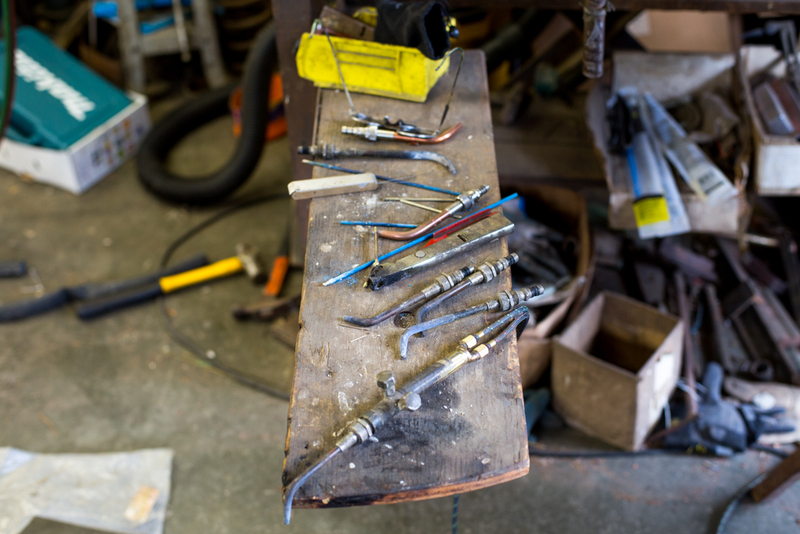 Has the TIG welding process changed since then with Ritchey’s partners? 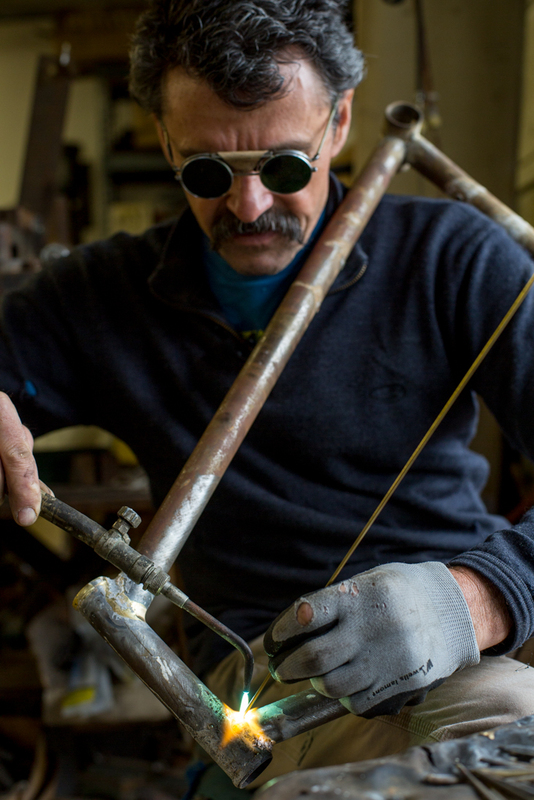 Tom Ritchey: I’ve personally built thousands of frames with my own hands, and after over 40 years of framebuilding, I’ve learned quite a lot about steel frame construction. 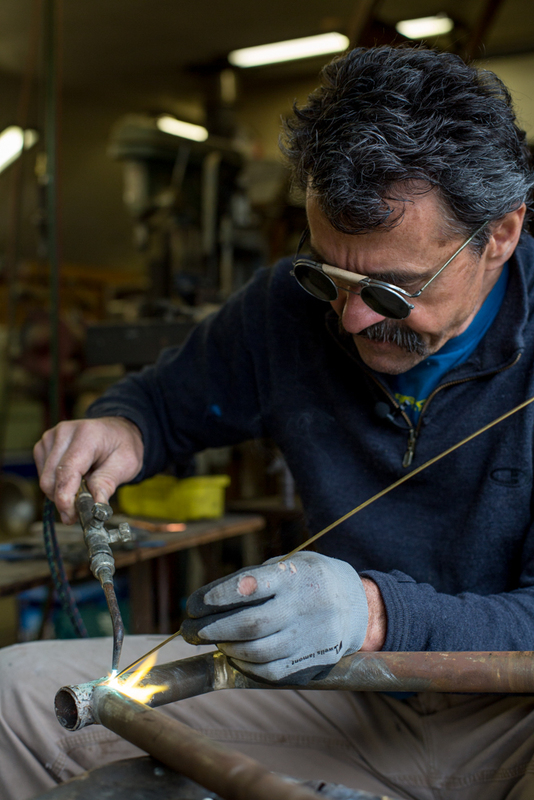 Back in 1985’ I started working with other builders who were capable of TIG-welding Logic tubing and I personally coached them and co-built frames. 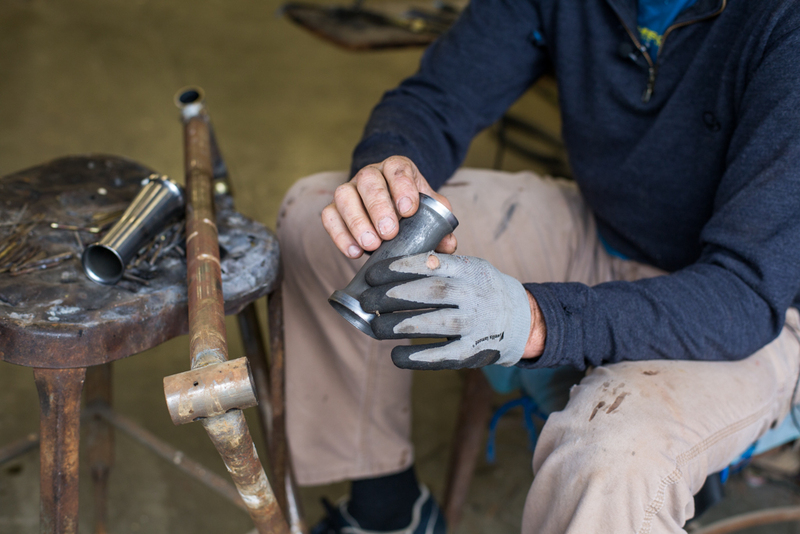 The personal, hands-on approach I’ve taken to working with my partners is unique, and after 26 years I can say I’ve had a big hand in teaching some of the best fabricators in the world how to build a steel frame to Ritchey standards. And they keep getting better and better. 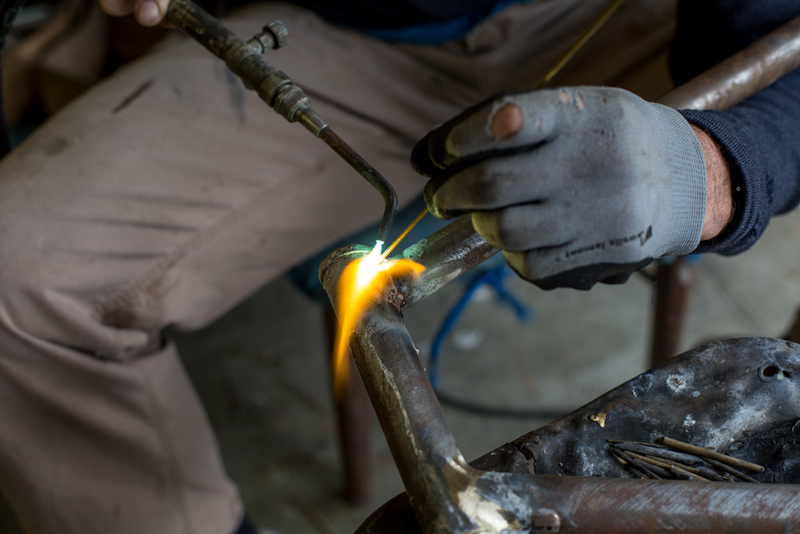 Our latest bikes are beautiful, from the mitering to quality of the welding and brazing, right down to final alignment. I still keep a close eye on things, but our quality is so good that I don’t have to worry about the process as much these days. What is the future of steel as a material for cycling? 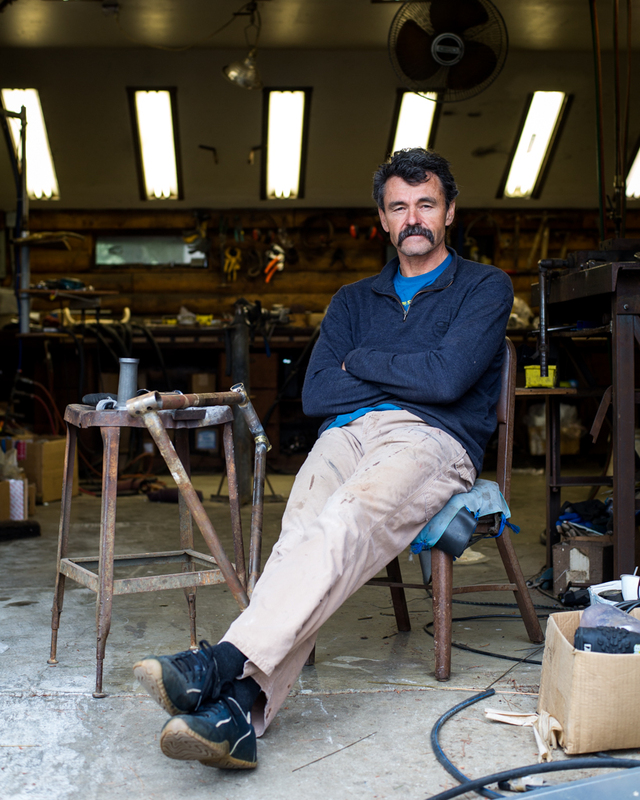 Tom Ritchey: People are always trying, with materials like titanium and stainless steels, to improve upon the ride quality that comes from currently available steel tubesets. It’s always more expensive with a slight weight reduction with titanium but it’s not a relevant improvement. Steel was good 100 years ago, so good that it’s barely changed in that time…that’s a testament to just how good it is. 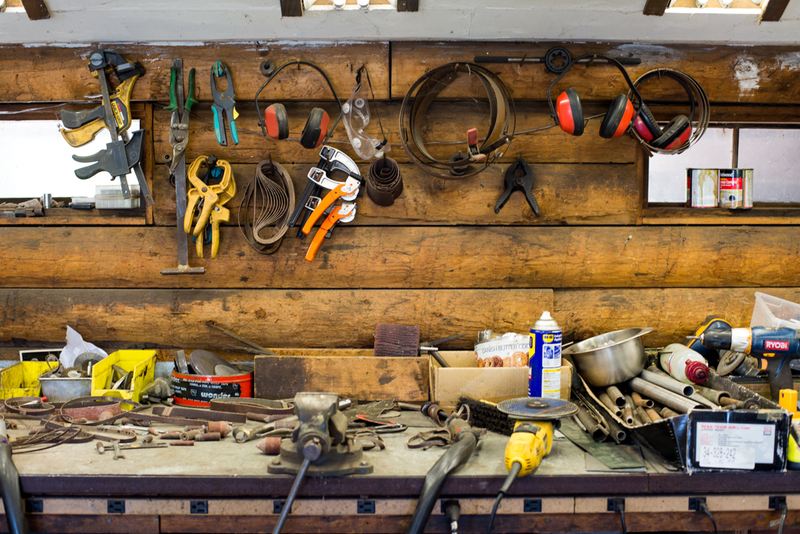 Good alloying and advancements in cold working have made some of the most meaningful improvements. That said, there are some metallurgy advances on the horizon in the Far East which promise a new generation of steels with quality far beyond what we currently have. 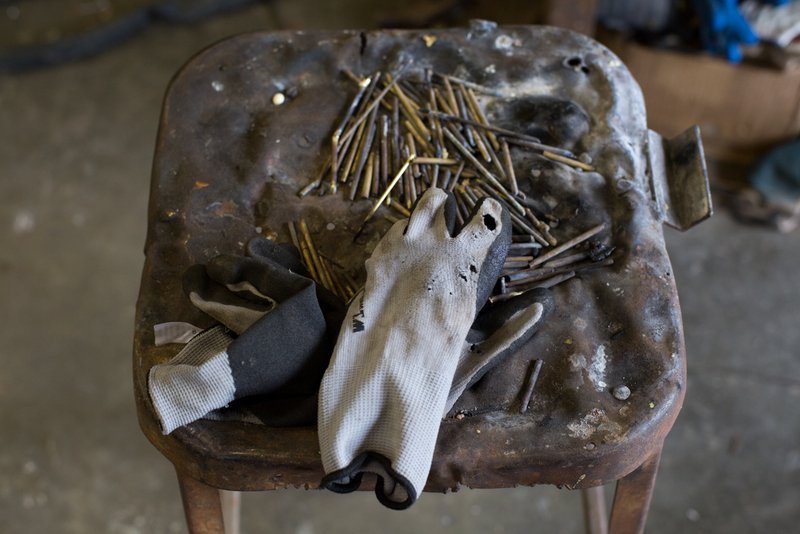 I’m already looking forward to making steel bikes soon out of that, too.